Desmond Bagley and his research visit to Iceland in 1969. Click the images below to view articles relating to Bagley’s research trip to Iceland in 1969. In the individual pages that follow you will find English rough translations and may click the image alongside the translation if you wish to see the article archived in the Tímarit digital library. ‘Someone could break their ankle in the lava’. ‘Writer Desmond Bagely: Icelandic setting’. ‘Katla in Desmond Bagley’s next book’. 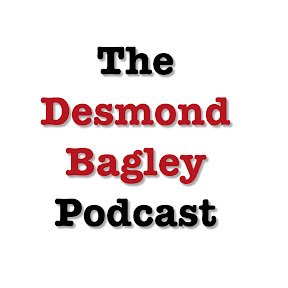 ‘Desmond Bagley writes a book that is set here’. 1. Vísir (1969). ‘Einhver mun brjóta á sér ökklan í hrauninu ykkar’ (14th August 1969 p. 16) © DV ehf. 2. Morgunblaðið (1969). ‘Rithöfundurinn Desmond Bagely – Íslenzkt sögusvið’ (15th August 1969 p. 3) © mbl.is / Árvakur hf. 3. Tíminn (1969). ‘Kötlugos í næstu bók Desmond Bagleys’ (15th August 1969 p. 2). 4. Þjóðviljinn (1969). ‘Desmond Bagley skrifar bók sem hann lætur gerast hér’ (15th August 1969 p. 10).